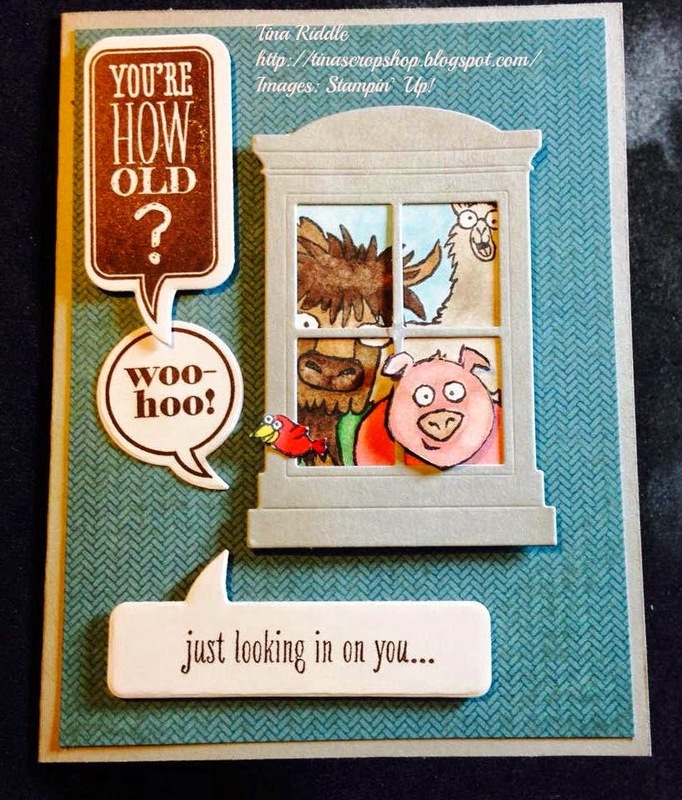 "FROM THE HERD" STAMPIN' FUN! I absolutely fell in love with the new Stampin' Up! set "From the Herd" in the Occasions 2015 Catalog. There are so many stamps and so many possibilities! I decided to run with the "just looking in on you.." sentiment from this set and have the herd looking in from the outside. I cut a window out with a Taylored Expressions "Arch Window" die. I stamped my herd image and colored the entire image in with my blendabilities but then had to cut off the portion of the image that wouldn't show through the window. 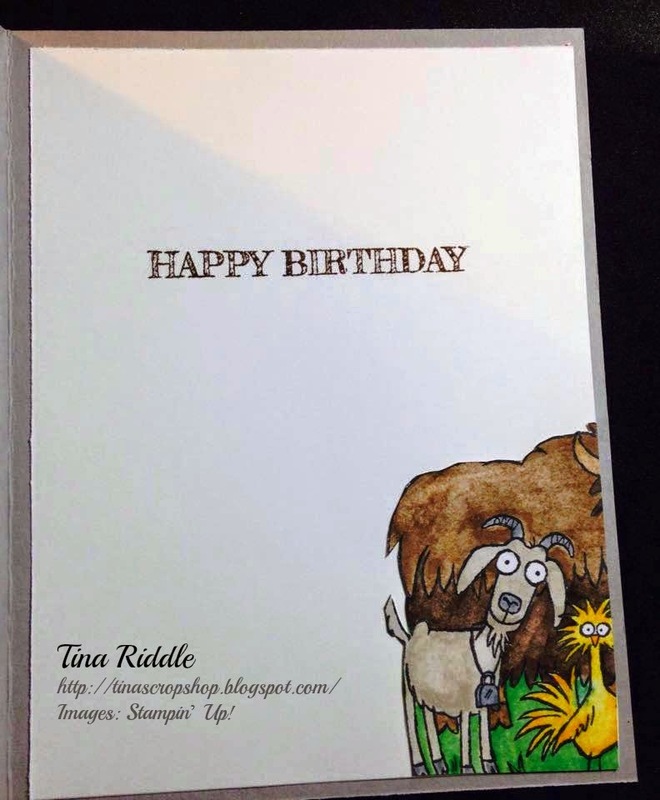 Being frugal and not wanting to waste the rest of the colored in image, I decided to fussy cut the left edge of the image and glue it to the inside of the card. I really like the way that touch added a little something extra to this card. The little bird was actually in another part of the image but I cut him out and put him on the edge of the window sill. The "You're How Old?" and "woo-hoo!" sentiments were from the "Just Sayin'" Stampin' Up Set. I think they were a perfect addition on the card. I used the word bubble framelits to cut out those as well as the "Just looking in on you..." sentiment from this new "From the Herd" set. 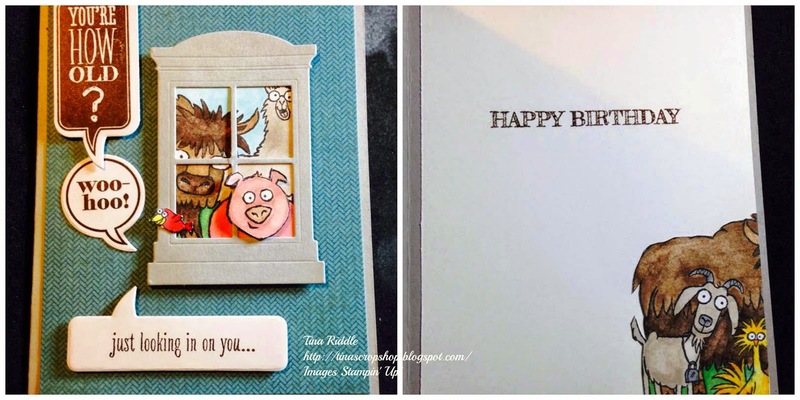 This card was special to me as it was for my youngest son's 28th birthday. Wayne is quite the jokester so I knew that I wanted a humorous card. He really loved the card I created for him and I hope that you do too!